There is no question in my mind that electrification will play a huge role in the future of transportation. Am I suggesting that every vehicle on the road should be a pure EV? Absolutely not. Should all those fuel burning Ferrari Daytonas and Shelby Cobras be banned from the world’s garages and roadways? Equally of course freaking not! But remembering the notions of “Right job, right tool” and “horses for courses” it is clear that for some — indeed many — drivers and their needs, habits, and commutes, an electric car is making more sense every day. Electric cars will be coming to market from a variety of sources; well established companies developing EV products. New startups. Computer companies. All of the above. 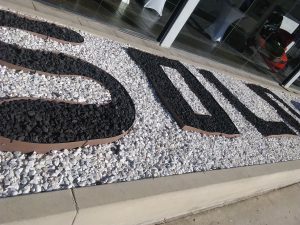 I recently got behind the wheel of a worthwhile new EV developed and brought to market by a company that’s a cross between all of the above. 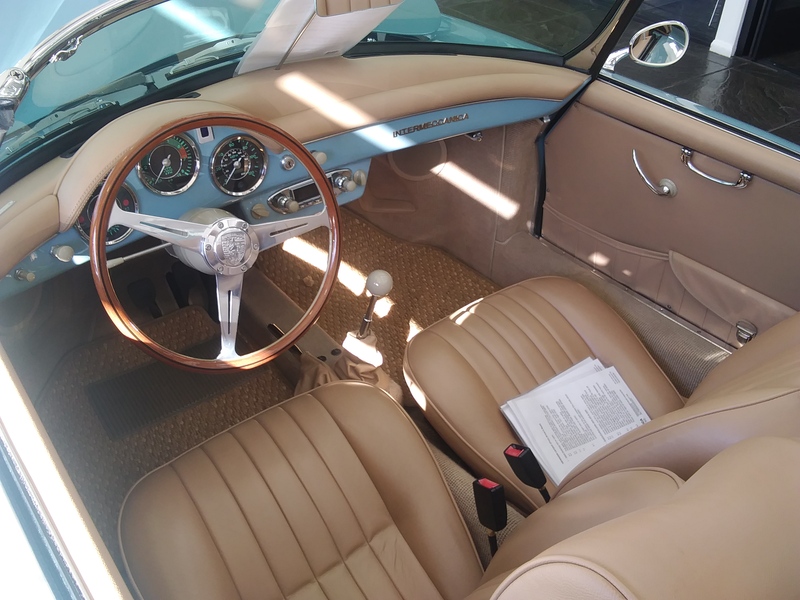 You may or may InterMeccanica, the brainchild of a young guy named Frank Reisner, who like so many others, endeavored to plant roots in Italy and build racecars and sports cars. Mr. Reisner and his wife Paula did just that, and did it better than many dreamers and wannabe carbuilders did. InterMeccanica built Formula Juniors, and all kinds of mostly small bore formula cars and sports racers, and had a good run with their Ferrari and Lamborghini challenging street exotics too — in fact, as a good nature poke in the eye of the big Italian stalwarts, InterMeccanica’s logo was a prancing bull (get it: Ferrari had the prancing horse and Lamoborghini’s mascot was the raging bull). Like deTomaso, Iso, and others, the Reisners built their sports cars around affordable, reliable, powerful American engines; mostly Ford and Chevrolet V-8s. 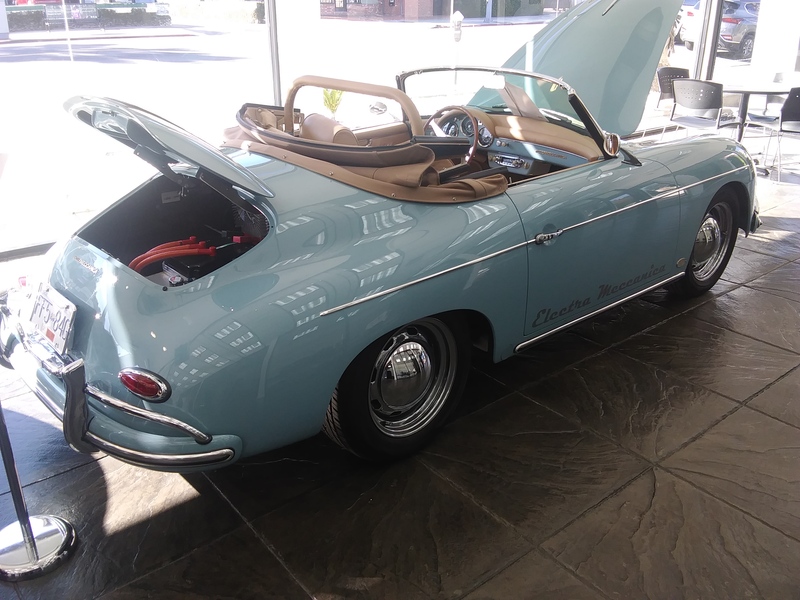 The cars were beautiful and today have become somewhat rare, and highly sought after. The roots of the company survive today, and have been recast into ElectraMeccanica’ now based in Canada — with the Reisner’s son at the helm. 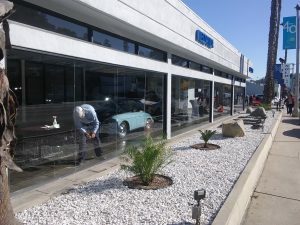 Their goal is to develop an comprehensive yet different line of EV products that serve a wide variety of driving needs, and do so for generally less than the cost of expensive Teslas or what the top shelf EV offerings from Porsche, Jaguar, and Mercedes-Benz will cost. The first fruit of this endeavor is called the Solo. Yes, as in one. And yes, as in a one-seater car. Sound strange? It won’t once you think about it. It is a fact that something more than 70% of Southern California commuters drive to work, er, solo (sorry). AKA by themselves. And that means that if they drive an Escalade or a one-ton dually truck or a Hummer, they use all that room, and all that power and all that fuel to transport themselves, and a 6000 pound truck down the highway in traffic. Alone. This is still the prototype dash design, although the final production dash stack will look just like a “real” car’s. Thus the Solo isn’t like anything else you’ve seen or driven. 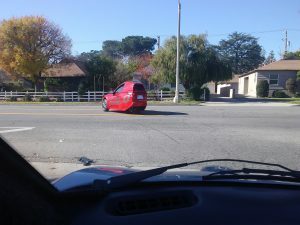 It’s a fully realized automobilette with single rear wheel drive, and two wheels up front — sort of a reverse trike layout. It’s been designed and built from the ground up to be what it is, meaning it’s not a converted gas-powered anything, nor is it a fancy enclosed golf kart. The chassis is very high tech, and uber structurally rigid, built primarily of aluminum composite honeycomb and some serious steel rollover structure (quite a bit of racing and also aerospace tech here). The powertrain and suspension are mounted on very sturdy looking subframes, and most of the body panels are also composite. Power comes from a modern, 17.3 KWh Lithium Ion battery pack, juicing an 82 horsepower electric motor, which boils out 128 pounds-feet of torque — plenty to move a car of this sized and weight. 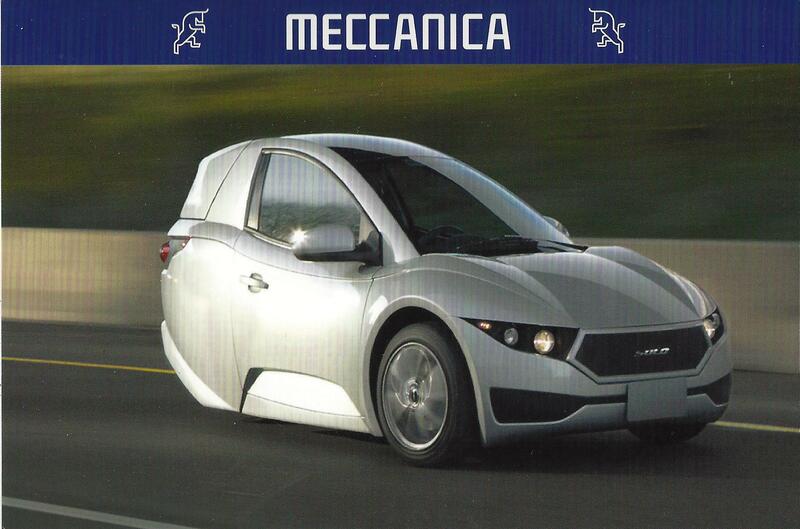 Meccanica quotes a 100 mile range, a 0-60 time of eight seconds flat, and a curb weight of just 1653 pounds. It’ll recharge from flat to full in just three hours with a 220 volt Level II charger. Longer on household 110 volts of course. Top speed is 88 miles per hour. The cabin isn’t plush, nor finished in acres of chrome, wool carpets or Italian leather, but its handsome, well equipped, nicely screwed together, and comfy (for one). 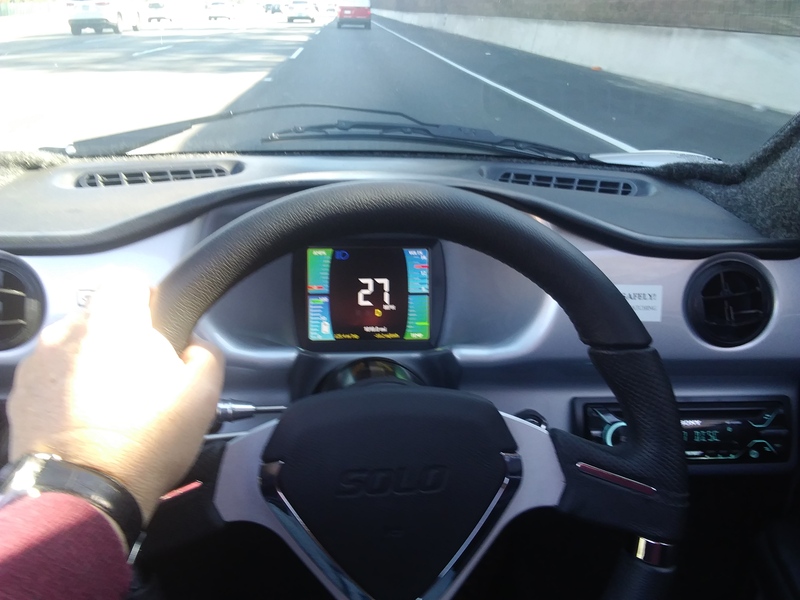 The Solo interior packs in a real automotive style LCD Instrument cluster, power windos, remote keyless entry, and AM/FM/Bluetooth/CD/USB entertainment system, a heated seat, AC, a proper heating, defogging and ventilation system, LED headlamps, heated exterior mirrors, and 160 liters of cargo space beneath its rear hatch/trunk. ya’know, kinda like a real car. You of course hop in from either side (because both side doors are effectively driver’s doors) and you feel like you’re in a small spaceship or fighter jet. The seat is supportive and comfy, and there’s good visibility. It takes a bit of getting used to — having both doors so close to your elbows — but once settled its downright cool. It takes a little button pushing to get everything all lighted up, but once you engage drive, you just step on the pedal and go. The Solos in these photos are the full production design, although the units I test drove were pre-production prototypes, built in Canada. Production has now been established in China, with a world class factory that has proper OEM levels of quality assurance and assembly. My tester didn’t have the power steering that’ll be offered on full production models, which made the a little heavy to steer when parking, but with light, well balanced, reasonably feelsome steering when on the move at anything more than parking speeds. And this little bugger scoots. Of course electric motors make their maximum torque at 0 rpm, so when you punch it off the line you’ve got all kinds of pull; there’s no transmission or shifting, just “one gear” and the motor goes up and down with your speed. My test drive included a freeway onramp, and getting up to speed and merging is no drama at all in the Solo. And it all happens pretty quietly too, with only a bit of a “George Jetson” whirring and purring as the motor revs up and down. The solo runs on full sized automotive tires, and serves up hard solid stops via its Wilwood disc brakes. 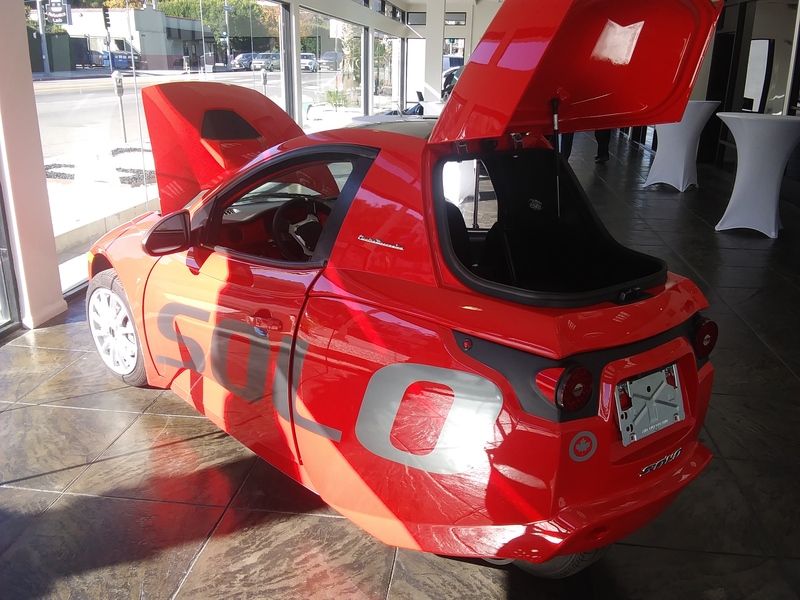 The Solo is nothing but a bargain at $15,500. 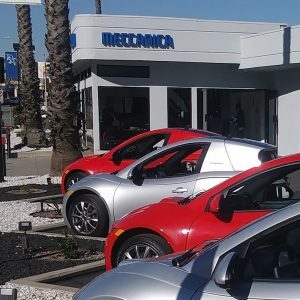 Imagine not spending new “big car” prices for this little guy that charges up in just a few hours, and only costs a couple bucks — at most — to refill, all with virtually no carbon footprint on the environment. Sure — not the right car for everyone, but certainly a compelling answer for some. 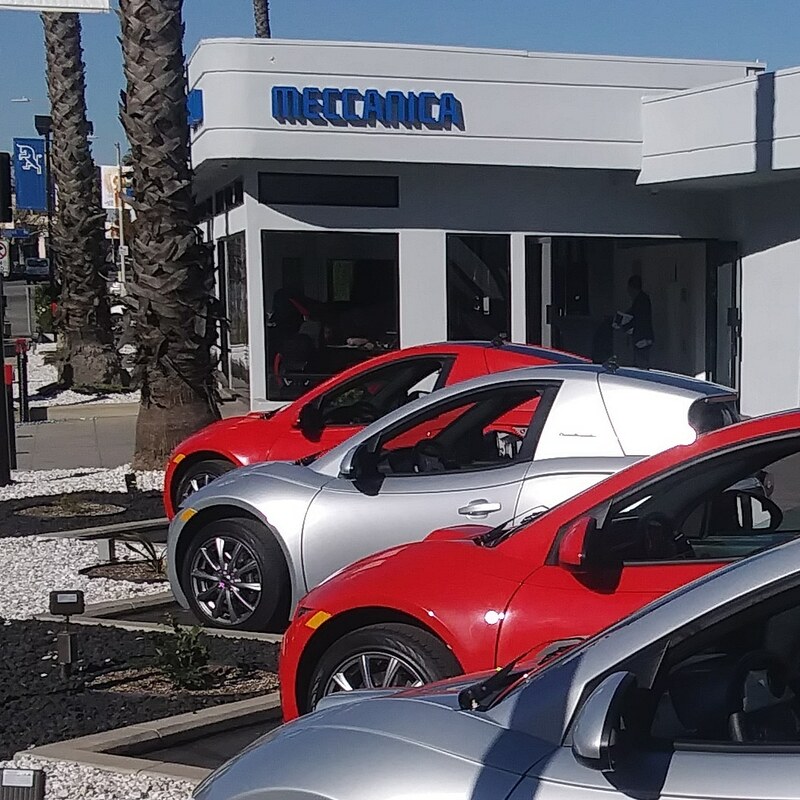 I’m planning a much deeper driving, charging and photography experience as soon as Meccanica has full production units in its test fleet, and I’ll report back to you when that happens. 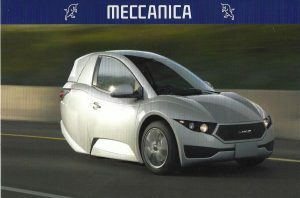 And ElectraMeccanica has more models in its development pipeline.